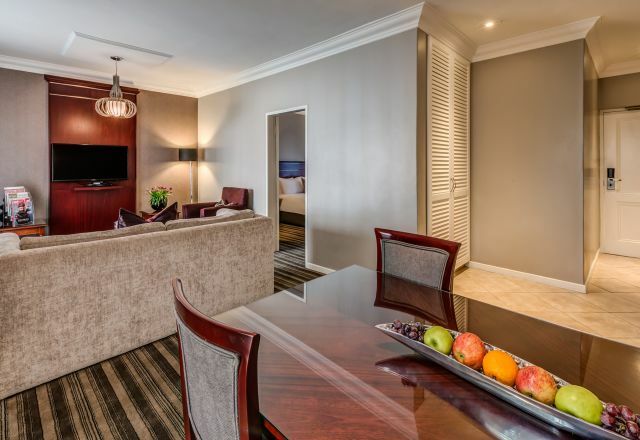 Accommodation at Southern Sun Katherine Street Sandton is elegant, business friendly and relaxing. Our choice of hotel rooms and suites are suited to your every need and fully equipped with all the amenities required to make you feel right at home. 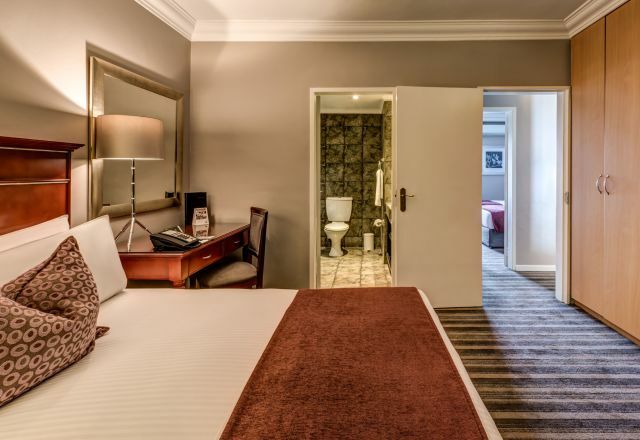 The hotel’s 122 well-appointed en-suite rooms have a host of amenities available such as complimentary WiFi, air-conditioning, tea and coffee facilities, flat screen television with DStv, and more. 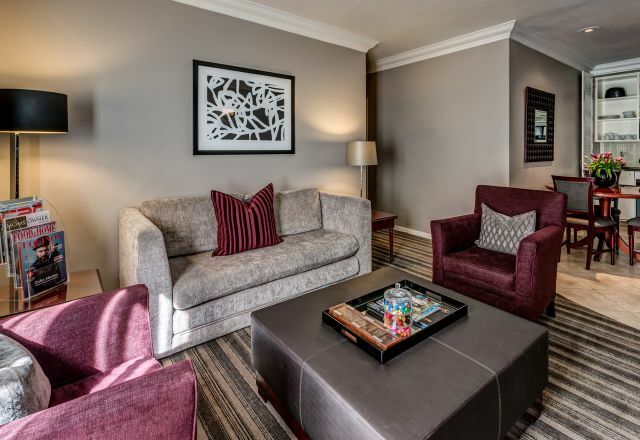 Our suites are the perfect serviced apartment style accommodation in Sandton. Suites feature a separate lounge and dining area equipped with a kitchenette that includes a microwave, bar fridge, crockery, cutlery and glassware. 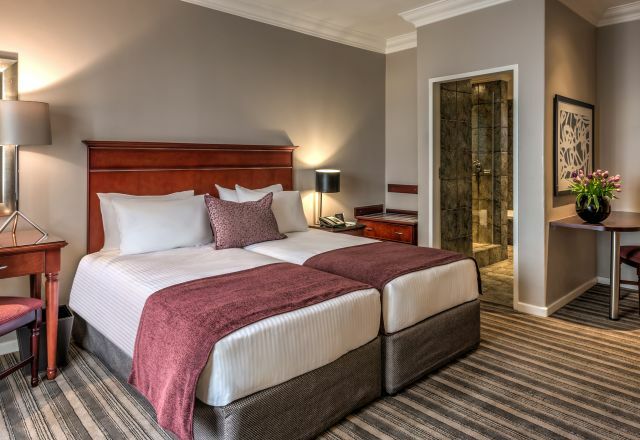 Rooms at Southern Sun Katherine Street Sandton all offer spacious cosmopolitan living in one of Johannesburg’s greenest suburbs. The décor and surroundings create an atmosphere of calm relaxation and rejuvenation. 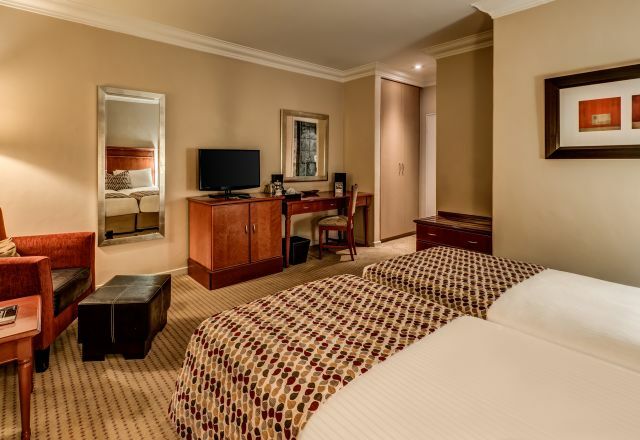 For relaxed business friendly accommodation in Sandton, Southern Sun Katherine Street is the ideal choice. Standard rooms have one queen bed or two single beds, plus a luxury en-suite bathroom with separate shower. Superior rooms have one queen bed or two single beds, plus a luxury en-suite bathroom with separate shower. Family rooms have two single beds, plus a luxury en-suite bathroom with separate shower. The suites feature two bedrooms with two queen beds or one queen bed and two single beds, as well as luxury en-suite bathroom. Suites have a lounge, dining area and kitchenette with either a queen bed or twin beds, as well as luxury en-suite bathrooms.